Earlier today, Dell introduced 39 new products during their press conference in San Francisco making it the largest launch in the company’s history. Dell kept the focus of the event on mobile computing and stated that nearly one-third of business would operate on these by 2013 according to IDC. Although every announced item was a business-oriented solution, a few new laptops are actually a great fit for consumers. There was even mention of an upcoming Windows 7 tablet. Dell is starting with a brand new fresh look for the Latitude E series laptops. While the predecessors were quite industrial-looking, these go for a friendlier look. The company’s spokesperson claims over 100 new design improvements since the last major update. Dell offers data protection, remote data wiping, and accidental drop safety features on every model. The E6520 and E5520 models feature 15.6 inch screens while the E6420 and E5420 models have smaller 14 inch displays. Dell offers all four versions with configurations for Windows 7 or Ubuntu. These support up to 4 GB of RAM and for storage, some options include a 7200 RPM 500 GB HDD, an encrypted 7200 RPM 320 GB HDD, or a 256 GB SSD. Stereo speakers, a webcam, and a microphone are standard. A 4-cell, 6-cell, and 9-cell removable lithium-ion batteries offer more power on the go, however there are no details on estimated battery life. WiFi, WiMax, GPS, Bluetooth, and 3G are optional. There are four USB ports, eSATA connector, HDMI, a finger print reader, a back-lit keyboard and plenty more. These make great powerhouses for businesses, but these are not great for entertainment or graphics intensive tasks. Consumers looking to play video games, edit high-definition footage, or use for multimedia capabilities should past these models. The one laptop that stands out from the other announcements is Dell’s business netbook. It runs on Intel Atom and ships with either Windows 7 or Ubuntu like other Latitude models. An integrated Intel GMA card, up to 2GB of RAM, and a 10.1 inch LED display make it a great offering. In addition to a 7200 RPM 320 GB HDD, Dell also offers an impressive 128 GB SSD. A powerful 54 Wh extended 6-cell battery is an option, however there is once again no mention of battery life. WiFi and Bluetooth are standard goods, however there is also support for 3G and WiMax mobile networks. An Ethernet port, 3 USB ports, a memory card reader, VGA output, webcam, and a combo headphone + microphone jack cover the remaining bases. For extra kicks, Dell also offers a model with a multi-touch enabled display. 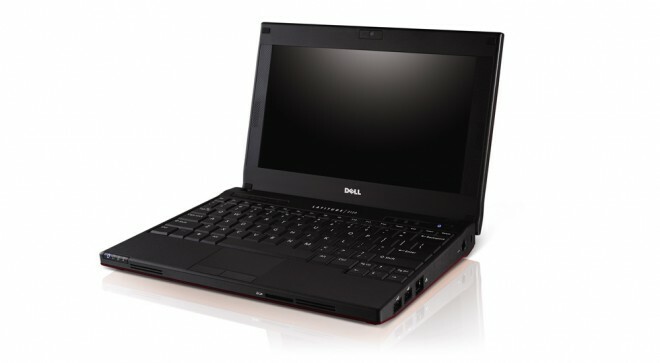 Dell noted that the E5000 series would start at a $859 price point, but that was about as far as they went. According to the provided documents, the company will release detailed availability and pricing in the coming weeks. We will definitely get our hands on the Latitude Netbook for an in-depth review, so stick around or subscribe to stay up to date.